New Flyer! Get Handimonium for $23 + More! Toys R Us Toys R Us Flyer Roundup: Hot Wheels Super Ultimate Garage $200, LEGO Super Heroes Thanos Battle $70, Handimonium $23 + More New Flyer! 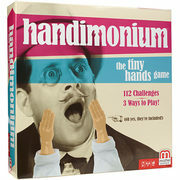 Get Handimonium for $23 + More! The latest Toys R Us flyer is here and you can see it now on RedFlagDeals! Fun doesn't take a holiday and this 32-page flyer has plenty of it, with hundreds of toys, games and gift ideas for the entire family. Take a peek at a few of the offers available in this flyer. This flyer is effective online and in Toys R Us stores from December 7 to 13. 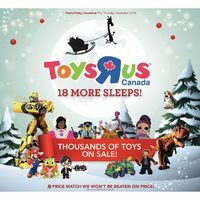 ToysRUs.ca offers free shipping on orders over $49.00, along with a free in-store pickup option on select products with no minimum order.